We tend to associate pretzels with plane food. But the airlines are getting so stingy nowadays that sometimes only beverages are served, if at all! That is okay as we can do without the salty snacks. A homemade alternative, such as chocolate pretzel cookies, would suffice! They are perfect for passengers on long flights. 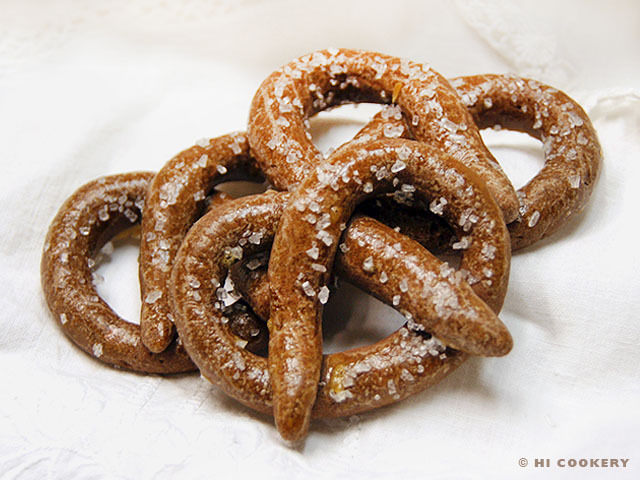 They look just like the hard pretzel snacks but with a sweet twist—literally—in that the salt is actually sugar on the surface! 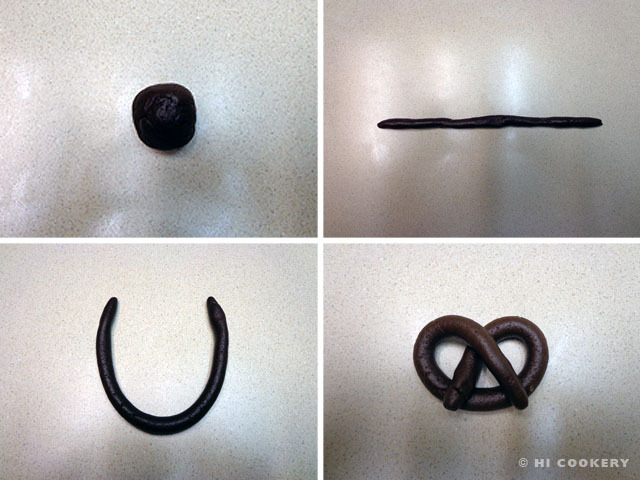 Try these treats for traveling and prepare chocolate pretzel cookies for National Pretzel Day. Combine the cocoa and espresso/coffee powders with the boiling water in a small bowl. In a mixing bowl, cream the butter with the sugar. Add the vanilla and coarse salt. Beat in the egg. Stir in the cocoa-coffee mixture. Gradually add the flour until a smooth dough is formed. Place on a plastic wrap and flatten out into a disc. Cover and refrigerate for half an hour. Pinch out 24 balls from the dough. Roll out a ball into a foot-long rope. Turn it up into a “U” shape. Twist down and overlap into a pretzel shape. Place on a baking sheet lined with parchment paper. 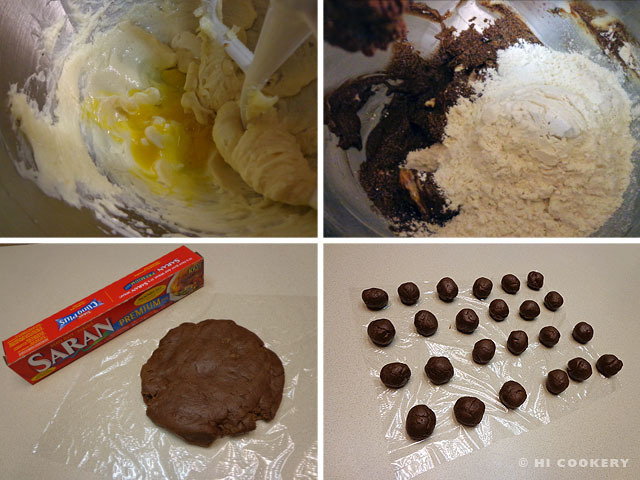 Continue making the rest of the cookies, spacing them about an inch apart. 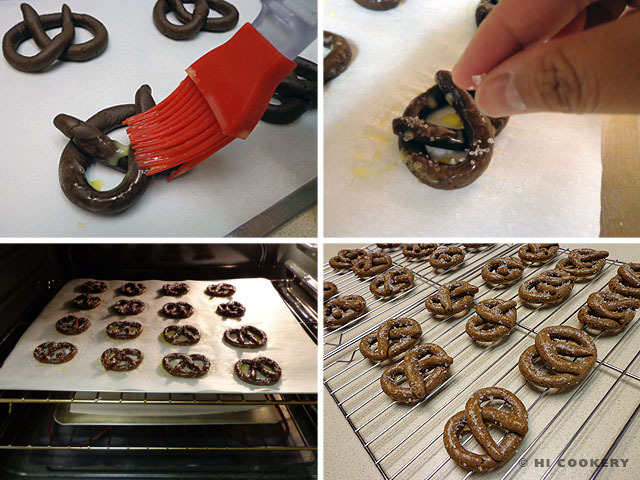 Brush each pretzel cookie with egg wash. Sprinkle sanding sugar. Bake in a preheated oven at 325 degrees F for 30 minutes, rotating the baking sheets halfway through cooking time. Remove from the oven and let cool on the sheets for about 10 minutes. Peel the cookies from the parchment paper and transfer to a wire rack to cool completely. Danke (thanks) to Lisa L. for the delicate white embroidered apron from Germany on which the chocolate pretzel cookies are displayed in the final food photo above. Prepare these pretzels for a party—German style! 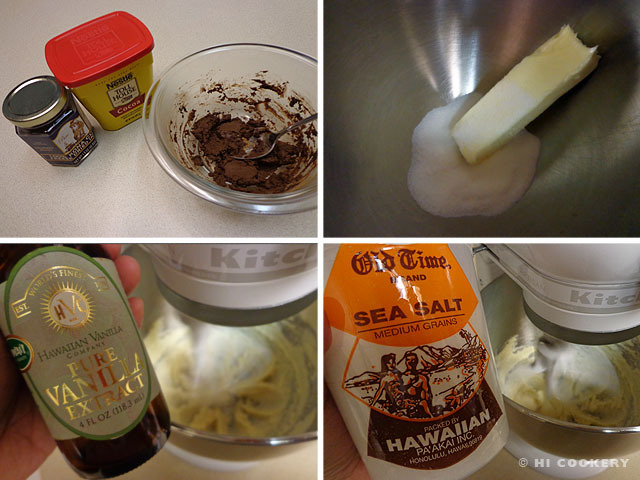 These chocolate pretzel cookies make a delicious Deutsch-inspired dessert for Oktoberfest.